New York Times-bestselling author and former Navy SEAL Mike Ritland teaches all dog owners how to have the close relationship and exceptional training of combat dogs. In TEAM DOG, Mike taps into fifteen years' worth of experience and shares, explaining in accessible and direct language, the science behind the importance of gaining a dog's trust and then offering invaluable steps for how to achieve any level of obedience. His unique approach uses entertaining examples and anecdotes from his work with dogs on and off the battlefield and direct tips from the Navy SEAL guidebook to teach dog owners how to: choose the perfect dog for their household, establish themselves as the "team leader," master "command and control," employ "situational awareness," and to solidify their dog's position as the family's ultimate best friend. Mike Ritland joined the Navy at age 17 in 1996, after being inspired by his grandfathers - both of whom had served in World War II. He graduated with BUD/S class 215 and became a member of SEAL Team 3. In April 2003, Ritland's 16-member SEAL Team was deployed to Iraq along with the First Marine Division, and they were tasked with taking the city of Tikrit. During one clearing operation, he observed a group of Marines approaching a cave-like structure in a rural area outside the city. After searching thousands of buildings and similar structures without issue, they were tempted to assume that all was clear, but the platoon was alerted to danger by an explosive-detector dog. Ritland learned later that a grenade booby trap had been set in the doorway and would certainly have killed the first marines to enter. He knew instantly that he wanted to work with dogs such as the one he'd seen, and learn to harness their remarkable abilities to defeat the tools of modern warfare. 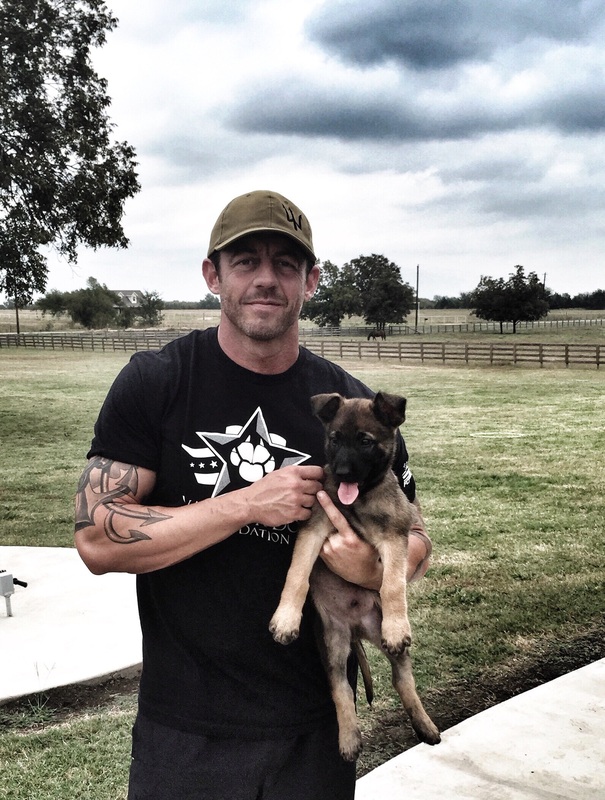 After 12 years of active duty as a U.S. Navy SEAL, Ritland became a BUD/S instructor and started his own company, Trikos International, to train dogs for the SEAL teams. Today he continues to supply working and protection dogs to a host of clients, including to the Department of Homeland Security, U.S. Customs, Border Patrol, TSA and the Department of Defense. He has trained hundreds of working dogs, and has over 15 years of experience in importing, breeding, raising, and training multiple breeds of working dogs. He also started the Warrior Dog Foundation to help retired Special Operations dogs live long and happy lives after their service. Proceeds from Mike Ritland's book Trident K9 Warriors: My Tale from the Training Ground to the Battlefield with Elite Navy SEAL Canines will be donated to the Warrior Dog Foundation.